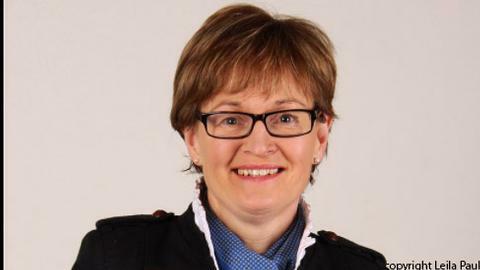 With Brexit negotiations about to begin in earnest, Abi Kay spoke to Mairead McGuinness, vice president of the European Parliament and member of the EU’s Agriculture Committee, to get an idea of how the EU intends to approach the talks on farming. Q: The trade spokesperson for the European People’s Party, Daniel Caspary, is on record saying he doesn’t want to apply a zero per cent tariff on agricultural goods in any future trade deal with the UK because the Common Agricultural Policy (CAP) exists to protect European farmers. Is this a commonly held view in the European Parliament? A: The CAP is a core policy of the European Union, to support farmers and rural regions of Europe and to supply quality food to EU consumers. It is only when the Brexit discussions move to phase 3 - the partnership - that the question of tariffs will arise. The UK has indicated it is leaving the single market and the customs union as it wants to make global trade agreements. In that context, the EU will be mindful of defending the interests of its farmers and consumers when negotiating the future partnership with the UK. Q: The Irish Farmers’ Association is lobbying for the EU to prevent the UK having ‘carte blanche’ in negotiating trade deals across the world to stop Irish beef being displaced on to the EU market. Is the European Parliament considering ways to block the UK from importing cheap food from outside the EU? A: The European Parliament is aware of the UK’s determination to reach trade agreements outside the EU. In relation to beef, the EU is negotiating with Mercosur and may reach an agreement before the Brexit discussions are concluded. However, any such agreement cannot undermine the sensitive EU beef sector. Again, the EU27 will be focused on protecting the interests of the EU27, while also wishing to establish a fair trading relationship with the UK. Q: Commissioner Hogan has said the EU’s weight in negotiating trade deals ensures partner countries are forced to raise their animal welfare and environmental standards to European levels. Is the European Parliament looking at ways to prevent the UK from importing or producing foodstuffs which don’t meet EU standards (hormone-fed beef, chlorine-washed chicken, GM foods, for example)? If so, would these restrictions apply only to goods exported to the EU, or would they be more comprehensive? A: UK consumers will no doubt have a view on whether it is desirable for the UK to lower its food safety standards. As I understand it, animal welfare is a key concern for UK consumers and they might put pressure on their politicians not to dilute standards currently adhered to, which benefit consumers and producers. Again, the EU will defend its animal welfare, food safety, public health standards, today and in the future. The UK as a third country can make its own decisions on these matters. BSE, the brain disease which triggered the move towards traceability of food, had its origins in the UK and again on this issue, I would doubt if the beef industry, beef farmers, regulators and politicians would abandon the rules which have made food safer. Q: The UK has a long-standing problem with bovine TB. Will this become a problem insofar as trade with the EU is concerned? A: Trade will be determined firstly by the new trading relationship and issues on animal health and disease would form part of that. Q: Is it the European Parliament’s understanding that the UK will have to renegotiate trade deals with countries which have agreements with the EU? A: All trade agreements made at EU level cover the 28 member states, including the UK. Indeed current trade negotiations underway are still being conducted as EU28. I have asked the Commission to clarify the situation for the UK in these trade agreements post-Brexit. Q: What is the European Parliament’s understanding of how the existing tariff rate quotas will be ‘split’ between the EU and the UK? A: Again, this issue will require discussion and clarification. Q: In your assessment, is agriculture likely to be a sticking point in trade talks between the UK and the EU? If so, why? A: There will be difficult issues in many sectors when it comes to a trade agreement, including agriculture. However, in my view, the fisheries sector presents significant problems if the UK pushes to reclaim its territorial waters. But the purpose of negotiation is to resolve even the most complex and difficult issues. Q: Does Brexit bring about any positives for agricultural trade? A: The UK farmers are enjoying higher payments from Europe due to the devaluation of sterling, which will be viewed as a short term gain. There could be opportunities for the lamb sector in Ireland, but in general Brexit is more disruptive to agriculture and food than constructive. But the EU agriculture and food sector is also resilient and there is significant planning underway to ensure that Brexit does not damage the EU’s high quality food production and supply chain.